Hindustan Times is one of the largest newspapers in India, by circulation. According to the Audit Bureau of Circulations, it has a circulation of 993,645 copies as of November 2017. The Indian Readership Survey 2014 revealed that HT is the second most widely read English newspaper in India after The Times of India . It is popular in North India, with simultaneous editions from New Delhi, Mumbai, Kolkata, Lucknow, Patna, Ranchi and Chandigarh. 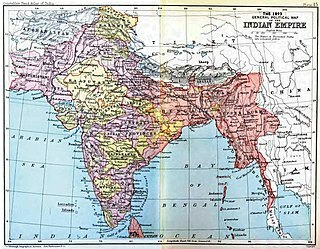 The print location of Jaipur was discontinued from June 2006 and that of Nagpur edition was discontinued from September 1997. 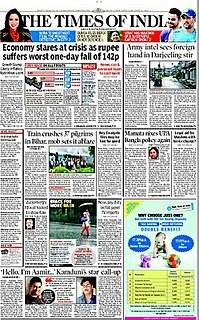 HT launched a youth daily, HT Next, in 2004. The Mumbai edition was launched on 14 July 2005 and the Kolkata edition was launched in early 2000. In The Brand Trust Report 2012, Hindustan Times was ranked 291st among India's most trusted brands and subsequently, according to the Brand Trust Report 2013, Hindustan Times was ranked 434th among India's most trusted brands. In 2014 however, Hindustan Times was ranked 360th among India's most trusted brands according to the Brand Trust Report 2014, a study conducted by Trust Research Advisory, a brand analytics company. Other sister publications of Hindustan Times are Mint (English business daily), Hindustan (Hindi Daily), Nandan (monthly children's magazine) and Kadambani (monthly literary magazine). The media group owns a radio channel, Fever 104.0 FM and also have education related company called Studymate and organises an annual Luxury Conference which has featured speakers like designer Diane von Fürstenberg, shoemaker Christian Louboutin, Gucci CEO Robert Polet and Cartier MD Patrick Normand. Hindustan Times is owned by the KK Birla branch of the Birla family. Hindustan Times was founded in 1924 by Sunder Singh Lyallpuri, founder-father of the Akali movement and the Shiromani Akali Dal in Punjab Province. S Mangal Singh Gill (Tesildar) and S. Chanchal Singh (Jandiala, Jalandhar) were made in charge of the newspaper. Madan Mohan Malaviya and Tara Singh were among the members of the Managing Committee. The Managing Chairman and Chief Patron was Master Sunder Singh Lyallpuri. Sunder Singh Lyallpuri was a leading Sikh member of the Indian independence movement, a general of the Akali Movement, an educationist, and journalist. Lyallpuri played a key role in the development of the Shiromani Akali Dal, and in the Sikh Reform Movement of the early 1920s. The Akali movement, also called the Gurdwara Reform Movement, was a campaign to bring reform in the gurdwaras in India during the early 1920s. The movement led to the introduction of the Sikh Gurdwara Bill in 1925, which placed all the historical Sikh shrines in India under the control of Shiromani Gurdwara Parbandhak Committee (SGPC). The Shiromani Akali Dal (SAD) is a political party in India. There are a large number of parties with the name "Shiromani Akali Dal". The party recognised as "Shiromani Akali Dal" by the Election Commission of India is the one led by Sukhbir Singh Badal. It controls Sikh religious bodies Shiromani Gurudwara Prabandhak Committee, Delhi Sikh Gurdwara Management Committee and is the largest and most influential Sikh political party worldwide. The basic philosophy of Akali Dal is to give a political voice to Sikh issues and it believes that religion and politics go hand in hand. Shiromani Akali Dal is part of the BJP led NDA. K. M. Panikkar was the person of behaviour ; Devdas Gandhi (son of Mahatma Gandhi) on the editor's panel, and later editor. The opening ceremony was performed by Mahatma Gandhi on 26 September 1924. The first issue was published from Naya Bazar, Delhi (now Swami Sharda Nand Marg). It contained writings and articles from C. F. Andrews and Cattamanchi Ramalinga Reddy, among others. Sardar Kavalam Madhava Panikkar was an Indian statesman and diplomat also famed as a Professor, newspaper editor, historian and novelist. He was born in Travancore, then a princely state in the British Indian Empire and was educated in Madras and at the University of Oxford. 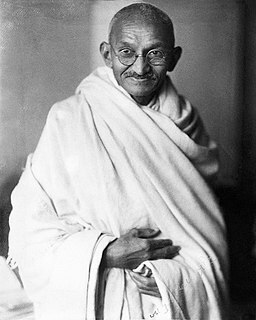 Devdas Mohandas Gandhi was the fourth and youngest son of Mohandas Karamchand Gandhi. He was born in South Africa and returned to India with his parents as a young man. He became active in his father's movement, spending many terms in jail. He also became a prominent journalist, serving as editor of Hindustan Times. Mahamana Pandit Madan Mohan Malaviya (pronunciation was an Indian educationist and politician notable for his role in the Indian independence movement and as the four times president of Indian National Congress. He was respectfully addressed as Pandit Madan Mohan Malaviya and also addressed as 'Mahamana'. Manas Chakravarty : Capital market analyst for Mint . Writes weekly column "Loose Canon" on Sundays'. The 14th Lok Sabha was convened after the Indian general election, 2004 held in four phases during 20 April – 10 May 2004, which led to the formation of first Manmohan Singh ministry (2004–2009). Indian National Congress lead United Progressive Alliance won 62 more seats than previous 13th Lok Sabha. The Lok Sabha is the lower house in the Parliament of India. 8 sitting members from Rajya Sabha, the Upper House of Indian Parliament, were elected to 14th Lok Sabha after the Indian general election, 2004. Captain Amarinder Singh is an Indian politician, who is currently the 26th Chief Minister of Punjab. An elected Member of the Legislative Assembly from Patiala, he was also the president of Punjab Pradesh Congress Committee, the state division of the Indian National Congress. He has also previously served as the Chief Minister of Punjab from 2002-2007. His father was the last Maharaja of the princely state of Patiala. He also served in the Indian Army from 1963 to 1966. In 1980, he won a seat in the Lok Sabha for the first time. He currently also serves as the chairman of the Punjab Urdu Academy. Rajmohan Gandhi is a biographer and a research professor at the Center for South Asian and Middle Eastern Studies, University of Illinois at Urbana-Champaign, US. He is the grandson of Mahatma Gandhi and Chakravarthi Rajagopalachari. He is also a scholar in residence at the Indian Institute of Technology Gandhinagar. Ambika Soni is an Indian politician belonging to Indian National Congress. She had served as Minister of Information and Broadcasting. She is a Member of Parliament representing the state of Punjab in the Rajya Sabha. Krishna Kumar Birla was an Indian industrialist of the Birla family. Giani Gurmukh Singh Musafir was an Indian politician and Punjabi writer. He was the Chief Minister of Punjab from 1 November 1966 to 8 March 1967. Seema Mustafa is an Indian print and television journalist. She is currently the Editor-in-Chief of The Citizen, a digital newspaper she founded. Vishvjit Prithvijit Singh is an Indian politician with the Indian National Congress party. He is a great grandson of Col the Honourable Kanwar Sir Pratap Singh Bahadur of Kapurthala. Harsimrat Kaur Badal is the Union Cabinet Minister of Food Processing in the Government of India and member of parliament from Bathinda. She is a member of Shiromani Akali Dal. Her husband Sukhbir Singh Badal was the deputy chief minister of Punjab and the president of Shiromani Akali Dal. The Indian National Congress (INC) is one of the two major political parties in India. The prominent members of the party are the president Sonia Gandhi, vice-president Rahul Gandhi, former prime minister Manmohan Singh and Priyanka Gandhi. INC took part in the elections alongside other members of the United Progressive Alliance. On the fourth anniversary of the second United Progressive Alliance government, the INC announced that its campaign for the election would be led by incumbent prime minister Manmohan Singh, party chairperson Sonia Gandhi, and general secretary Rahul Gandhi. Darshan Singh Pheruman was an Indian freedom fighter, Sikh activist and politician. Rajya Sabha elections held in India on 21 July and 8 August 2017 to elect ten members of the Rajya Sabha, replacing those who retired in July and August 2017. ↑ "About Us". Htmedia.in. Retrieved 29 May 2015. ↑ Media Bias is there for every one to see. AIFON (5 March 2016). Retrieved on 2018-12-27. ↑ Nominated to Rajya Sabha – NATIONAL. The Hindu. Retrieved on 27 December 2018. ↑ Politicians, lawyers, actors: The must-read Rajya Sabha rich list. Firstpost (18 November 2011). Retrieved on 2018-12-27. ↑ "This Is Not Journalism as We Know It". Openmagazine.com. Retrieved 29 May 2015. ↑ Hazarika, Sanjoy (5 March 1995). "Indian Leader Faces a Test At the Polls". India; Maharashtra State (India); Gujarat (India): NYTimes.com. Retrieved 29 May 2015. ↑ "Paradise Papers: Hindustan Times Group set up firm in Bermuda, showed Rs 7 cr loss". The Indian Express. 7 November 2017. Retrieved 6 June 2018. ↑ "India's Most Trusted Brands 2014". Trustadvisory.info. Archived from the original on 2 May 2015. Retrieved 29 May 2015. ↑ "HindustanTimes". Urduyouthforum.org. Retrieved 11 April 2016. ↑ "Shobhana Bhartia wants to benchmark HT with the best in the world". Business Today . 14 October 2012. Retrieved 18 March 2014. ↑ "Indian Advertising Media & Marketing News – Exchange4media". Exchange4media.com. Retrieved 29 May 2015. ↑ "Under close watch". Frontline . 20 January 2017. Retrieved 24 April 2018. ↑ "Hindustan Times Editor's Exit Preceded by Meeting Between Modi, Newspaper Owner". The Wire. 25 September 2017. Retrieved 25 September 2017. Wikimedia Commons has media related to Hindustan Times .